Dr. Jon Erickson was born and raised in Minnesota. His path to becoming a dentist included a bachelor's degree in nursing from Bethel College in 1984. 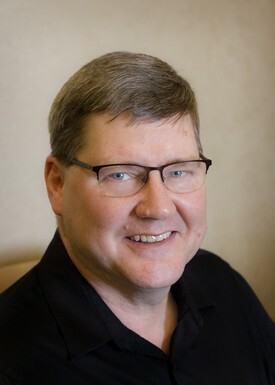 After working for 5 years in Rochester at the Mayo Clinic while continuing to take college courses, Dr Erickson began dental school at the University of Minnesota and graduated in 1994. He continued his training with a General Practice residency in the US Air Force, spending 3 years total in the USAF. He began Fairmont Family Dentistry in 1997, buying the practice of Dr. Tom Hanson. Patient comfort is very important at Fairmont Family Dentistry, and Dr. Erickson has made it a priority in his continuing education courses. With his background in IV therapy and critical care nursing, it was a natural fit to do sedation dentistry at Fairmont Family Dentistry. Dr. Erickson is one of the few general dentists in Minnesota to offer IV sedation for surgical as well as ordinary restorative procedures. When not in the office, Dr. Erickson loves spending time with his wife and family and giving his time at his church. 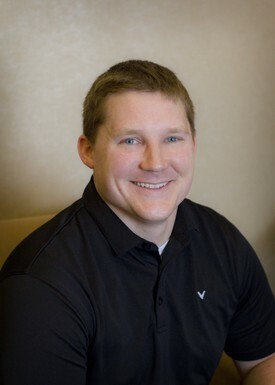 Dr. Kurt Erickson is a Fairmont native and joined his father in practice at Fairmont Family Dentistry in 2015. He graduated from Fairmont High School in 2006, then went on to Bethel University in St. Paul, MN where he graduated with a bachelors degree in biology in 2010. He attended dental school at the University of Minnesota where he earned his DDS in 2014. After graduating dental school Dr. Kurt completed a year long AEGD (Advanced Education in General Dentistry) residency program at the Southeast Alaska Regional Health Consortium in Sitka, Alaska. During his residency, he received advanced training from specialists in pediatric dentistry, endodontics, oral surgery and prosthodontics. He is excited to come back to serve the community which has given so much to him. Dr. Kurt married his wife Sarah in 2010 after meeting at Bethel. Sarah works as a pharmacist in Fairmont. They have two young children, Liam and Ella. They also have a goldendoodle named Winnie. Dr. Kurt is a huge sports fan and he can often be found cheering on his favorite Minnesota sports team, especially the Fairmont Cardinals!